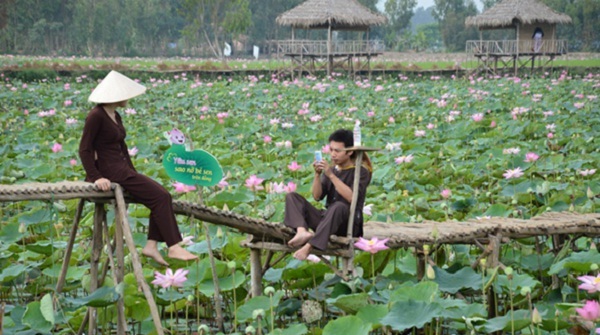 Despite being relatively new tourist destination but the same lotus Field always roll a large number tourists visit. This field is located in a large lotus My Hoa Commune, Thap Muoi District, urban way of Cao Lanh City 40 km. Far about 150km, and Field lotus destination many visitors choose to experience rural atmosphere countryside as well as enjoy the special dishes of the western waters. 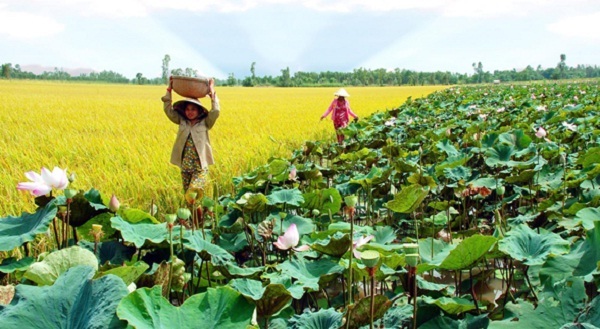 You can make a plan to visit Lotus field, a hot destination in Dong Thap Muoi, Vietnam Mekong Delta. Bees, birds from around the drag on the more embellished poetic sections for natural surroundings which very rustic, wonderful here. Between life noisy and busy urban place, just once hung all about with a place of chaos so idyllic, serene. Surely you will not regret this choice with her. Just pay the entrance fee 10,000-20,000 VND, people will be spoiled for photographing, filming. You can borrow tunic, ao ba ba, conical spot to unleash creativity and preserve memories shy side early summer shower with friends and relatives. In particular, lightweight rowing boats can be rented at the same place between Lotus to feel the full beauty of pure, ethereal pink lotus from. 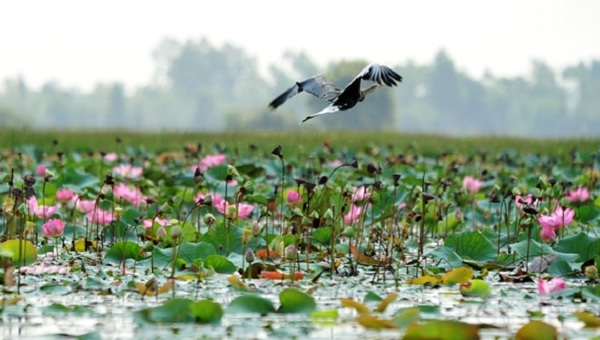 Not only discover with lotus fields untouched, green mangrove forests and rice fields flamingo flying straight from Dong Thap also owns most attractive specialty Origin western river gardens fascinate visitors from afar. To Field, also would be remiss if you did not enjoy the special dishes of the countryside as obsequious respect, co-grilled snakehead fish tactic, hamsters baked, crab soup, eel hot pot and the signature dish of the shower as the lotus leaf rice packages, lotus milk. 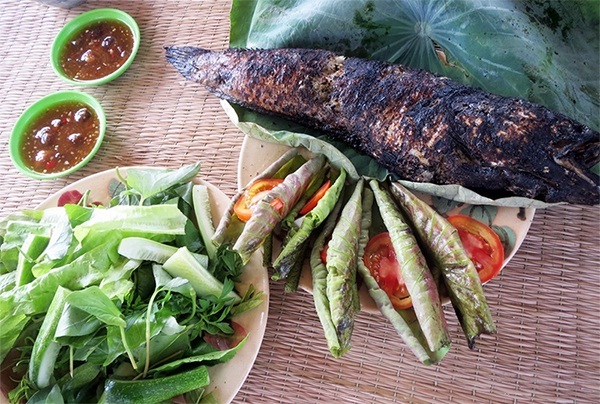 In particular, the specialties from the Plain of Field sen as: tea lotus seeds, lotus sticky rice, grilled snakehead fish lotus, lotus salad always makes customers excited. Sitting between immense lotus field specialties will bring a very distinctive aftertaste. Are you ready to go Dong Thap Muoi?